Chessmen: Chetak Bud Rosewood, 4-1/4" King, Triple Weighted, Leather Base, Double Queen. 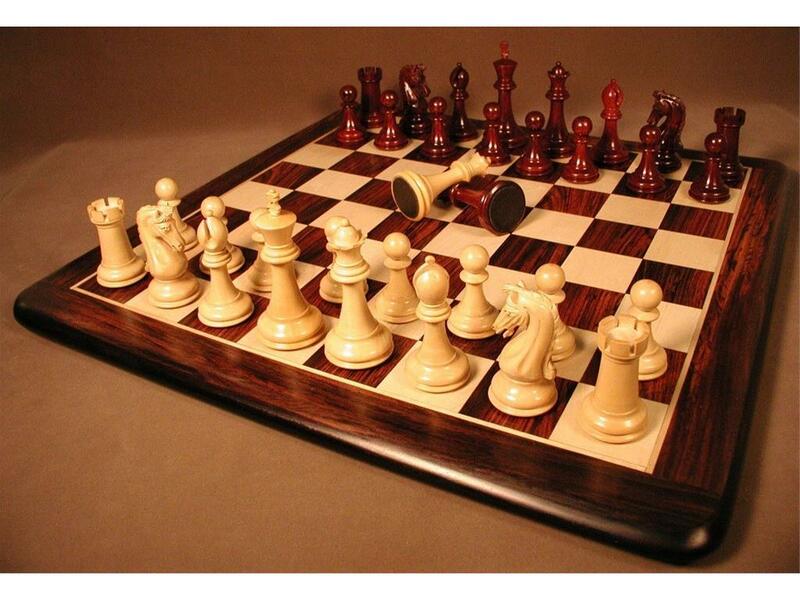 Chess Board: Rosewood & Maple, with frame, rounded edge, 21" x 21" x 1" thick, 2.2" squares. Page P4301 Copyright © 1999-2019 GammonVillage Inc., USA. All rights reserved.